Manchester United warmed up with a victory for the second leg of their Champions League quarter final against FC Barcelona at Camp Nou. Two goals from Paul Pogba gave them all three points in a 2-1 over West Ham at Old Trafford and the French midfielder now has 13 goals in the Premier League this season, making him United’s top league scorer. 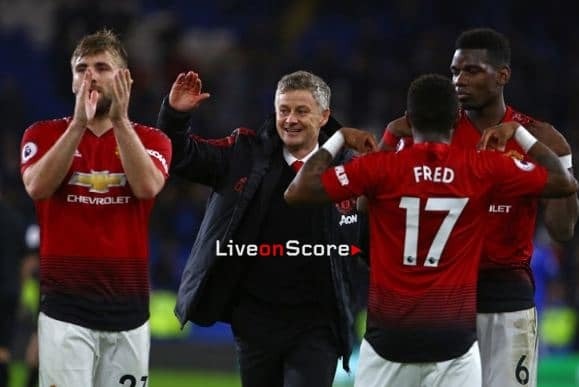 Coach Ole Gunnar Solksjaer made several changes to this starting XI, in similar fashion to his Barça counterpart Ernesto Valverde, and United went ahead from Pogba’s penalty after 19 minutes. Felipe Andersson levelled things up for West Ham early in the second half but with just 10 minutes to go a second penalty from the Frenchman gave the home side victory. The Manchester club now sit in 5th place in the Premier League on 64 points, still two away from the Champions League qualification positions. The ‘Red Devils’ come to Camp Nou on Tuesday, kick off 9.00pm CEST, for the second leg of their Champions League tie against Barça 1-0 down after the blaugranes’ first ever win at Old Trafford in the first leg last Wednesday.